Do you feel like you’re doing everything right but the scale still won’t budge? You’re not alone. There are a number of factors besides the usual calories in, calories out equation that can impact your metabolism and weight loss. Explore these possibilities and see if one of them can get you back on track again. Did you know that sleep deprivation can lead to weight gain? Research keeps pointing to a strong connection between sleep deprivation and weight gain. One study even found that just 30 minutes less sleep per night on weekdays can significantly increase your risk of obesity and diabetes. Being tired during the day reduces your energy and your willpower too. If your weight loss has stalled, try going to bed an hour earlier each night for a couple of weeks. Your wearable device can help you compare your exercise habits over time, but it’s probably not very good at calculating your calories burned. The display on your treadmill, bike, or elliptical that shows calories burned is probably not very accurate either. If your numbers look great but you’re not losing weight, then the numbers might not be accurate. Try using a heart rate monitor or perceived exertion to track your caloric burn instead. Even if you work out every day, sitting for long periods can lead to weight gain and health issues. If you have a sedentary job, consider using a standing desk part of the day or at least set a timer to remind you to move every hour or so. At home, avoid long periods of television or reading — especially if you’ve been sitting at work all day. Try breaking up your exercise routine into smaller chunks and sprinkling them throughout the day to see if that gets your scale moving again. Eating too few calories can slow down your weight loss. According to the experts at Lifesum, eating too few calories each day can slow your metabolism and impact your body’s ability to lose weight. Restricting your calories too much can also make it impossible to get all the nutrition your body needs to perform well. If you’ve been on a very low-calorie diet and you’ve hit a plateau, make sure you’re hitting at least the minimum calories recommended for your weight and age. Processed foods fill you up without providing your body with the nutrition and fiber it needs. White bread, crackers, chips, and sugars all add to inflammation in the body, which can lead to belly fat. Try eating more whole, unprocessed foods to see if the weight starts to come off again. 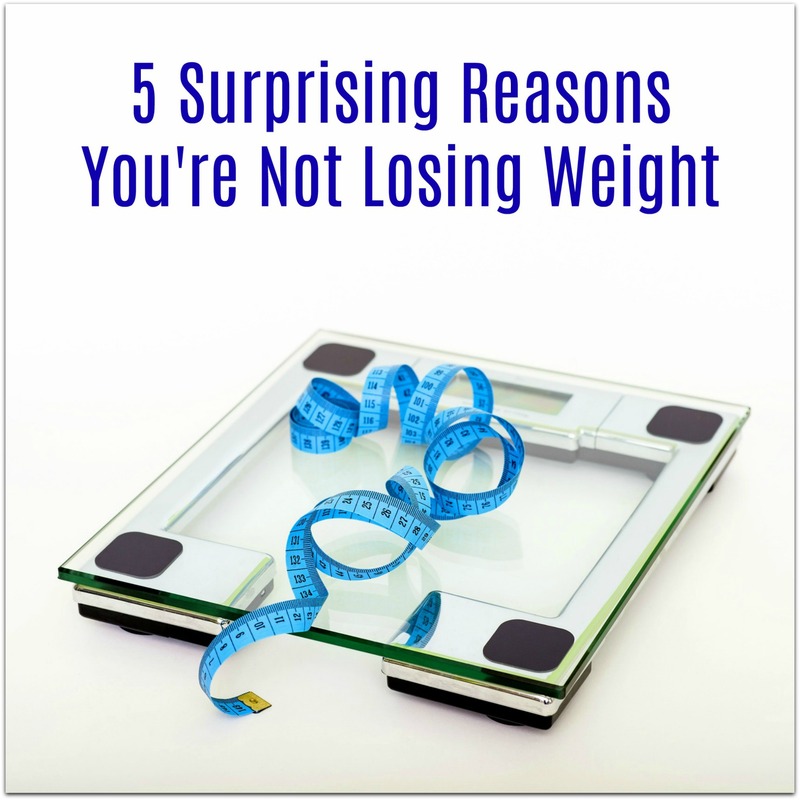 If you’ve hit a plateau or can’t understand why you’re not losing weight despite your best exercise and diet efforts, it’s time to explore some of these other factors. Try these solutions one by one to discover if one of them will solve your problem. Yes to all of these!! Especially the processed food one! I think people forget how much processed crap we eat everyday!! Clean eating changes SO much!! You just feel better!! I wonder if I am not eating enough calories. I feel like I eat next to nothing but yet cannot lose weight! Losing weight has always been a struggle. I definitely don’t get enough sleep and sit too long.